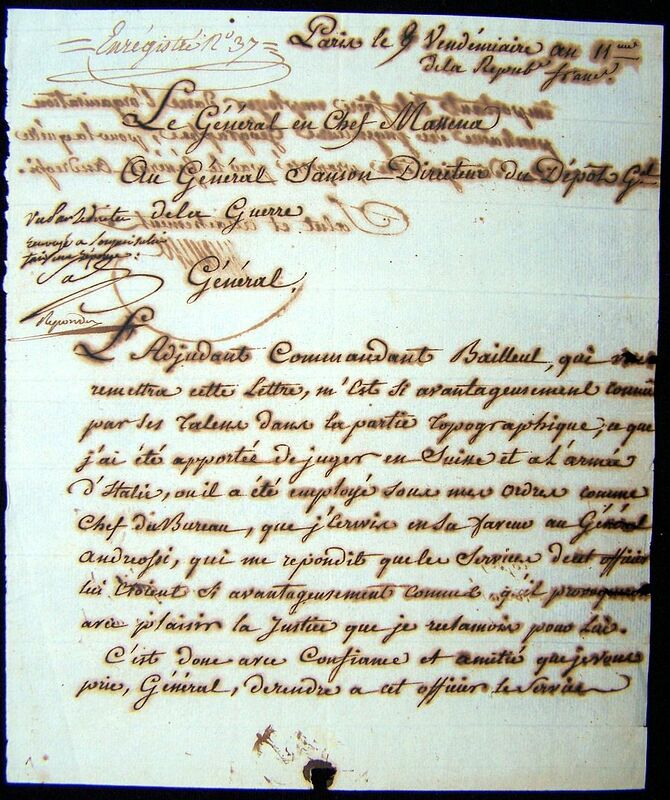 Lannes was now attached to Dallemagne’s advanced guard and on the 10th of May 1796, Bonaparte sent him after the Austrians at Lodi. Lannes caught the enemy off guard which scattered them, but they regrouped on the other side of the bridge at Lodi. When Lannes tried to cross the bridge they were beat back by enemy fire. 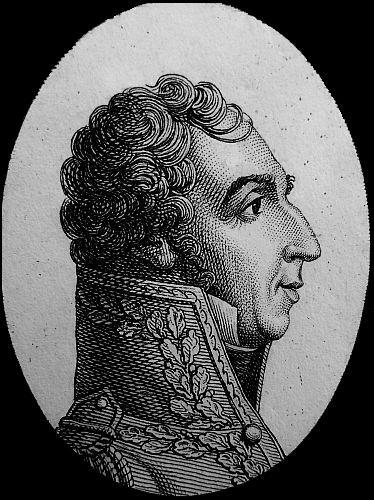 With the encouragement of Bonaparte, Lannes and others made a dash across the bridge and put the enemy on the run. This would leave the Lombard capital of Milan open to Bonaparte. 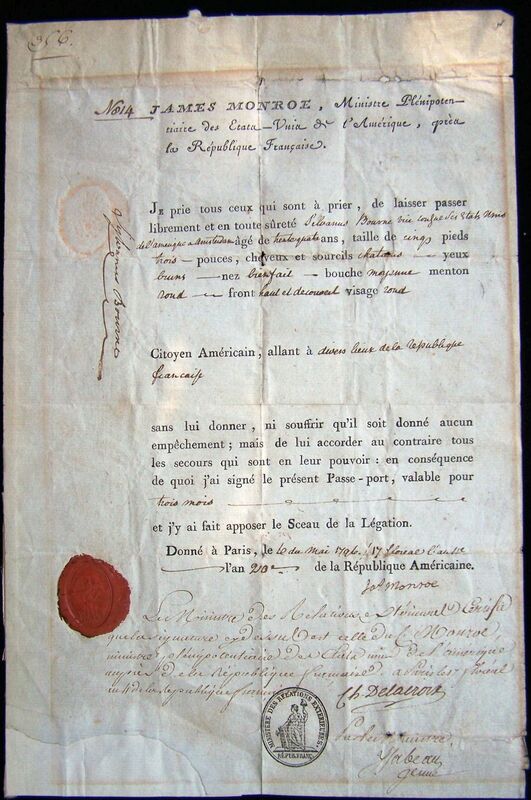 On the 14th of May, Lannes entered Milan with the army in need of a much deserving rest. In the coming months the locals in the countryside starting arming themselves. 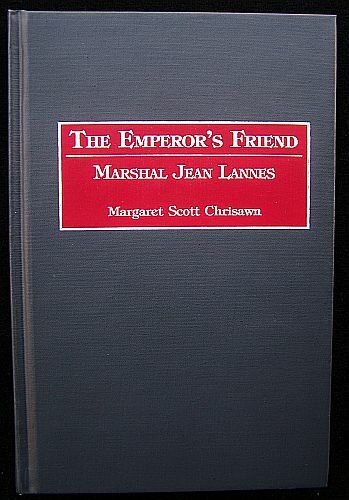 Lannes would be sent to put down the rebels and would not show any mercy. During this somber task of chasing rebels he received news of his promotion to the rank of General of Brigade. 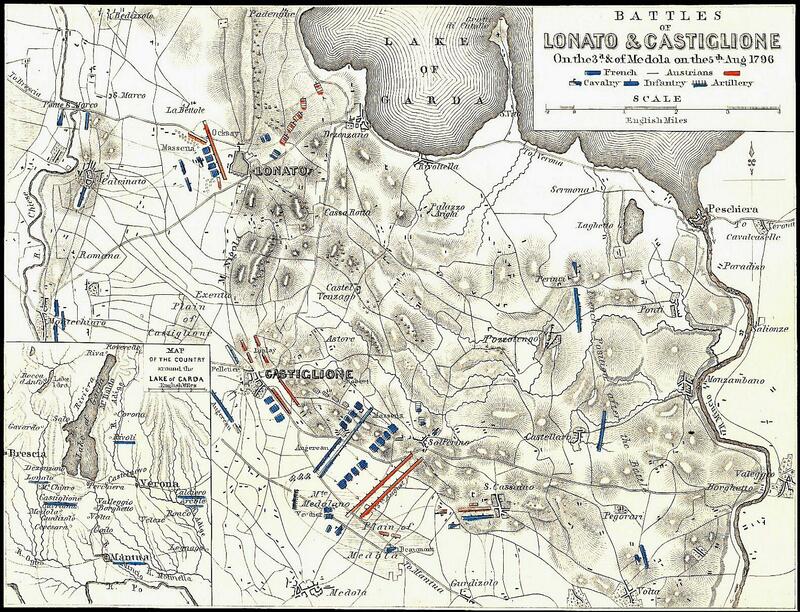 On the 3rd and 5th of August, Lannes would engage the enemy at Lonato while Auguereau attacked at Castiglione. They would both force the Austrians to retreat from these positions. The Austrians soon regrouped and began advancing on the French. 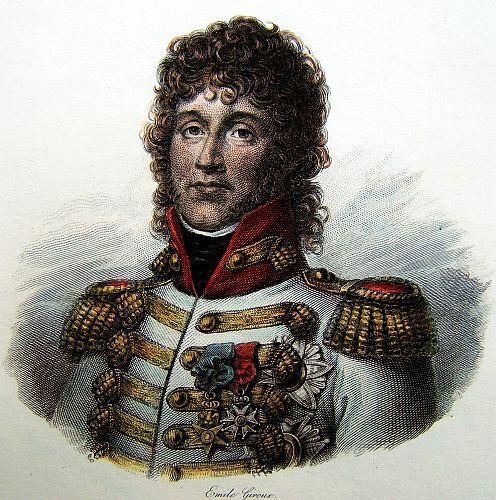 Lannes was now attached to Augereau’s division, which marched to Bassono to engage the enemy on the 5th of September 1796. 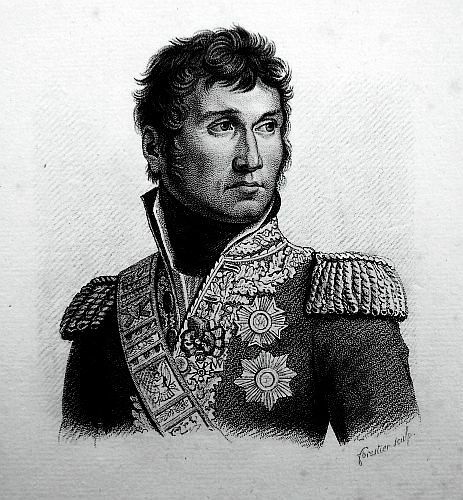 Lannes would attack the Austrians and capture two enemy standards. The standards were the armies pride that went back to Legions of Rome or trophies of the battlefield. 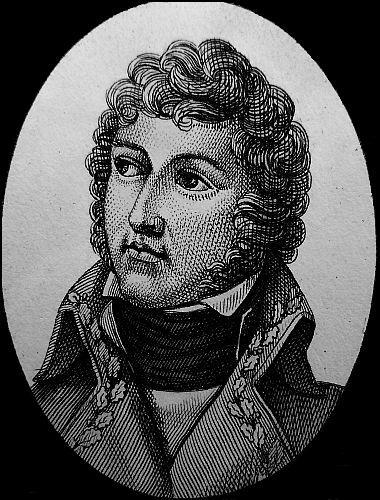 On the 15th of September, Lannes was wounded during an Austrian attack at San Giorgio. This would put him out of action with the Austrians at Mantua. However, he would soon be on the march again towards a bridge at Arcola. and found 40 guns. The Cardinal Legate is a prisoner of war. 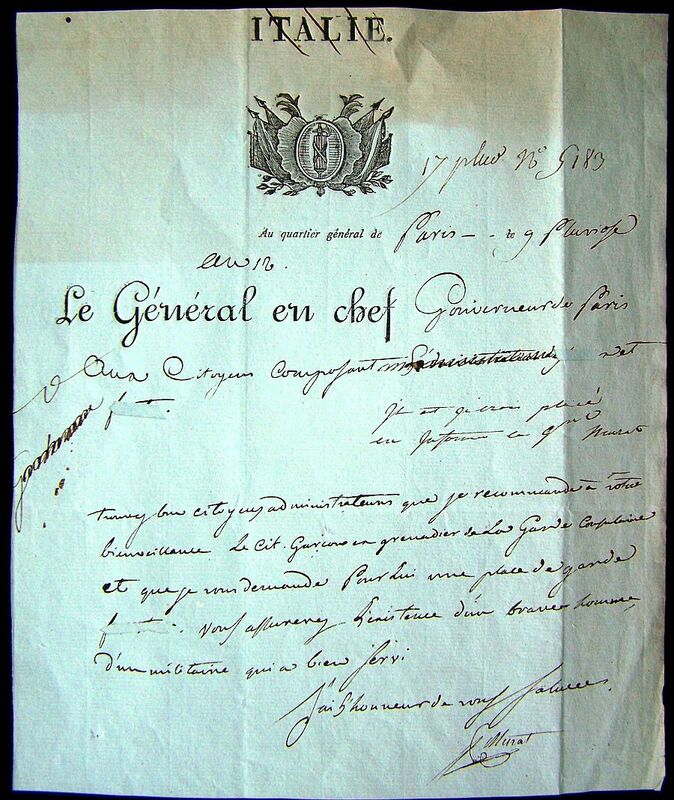 BUONAPARTE has gained another brilliant victory over the Austrians, commanded by BEAULIEU, as appears from the following letter, written by him to the Directory. “I was of opinion that the passage of the Po was the boldest operation of this campaign, and the battle near Millesimo the warmest action; but I have now to give you an account of the battle of Lodi. The Head-Quarters arrived yesterday at Cazai, at three o’clock in the morning; at nine our van-guard found the enemy defending the approaches of Lodi. I gave immediate orders for all cavalry to mount their horses, attended by four pieces of light artillery which just arrived from Placenza, drawn by the carriage horses of the Noblesse of that place. 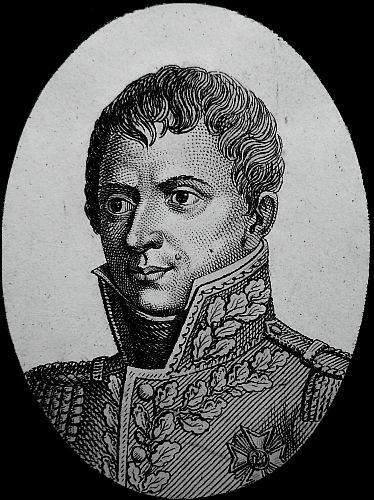 The division of General AUGEREAU, which had remained that night at Borghetto, and that of General MASSENA, which had passed it at Cazal, put themselves instantly in motion. In the mean time the van-guard forced all the enemy’s posts, and took one piece of cannon. We entered Lodi in pursuit of the enemy, who had already passed the Adda by the bridge. BEAULIEU’S whole army was arranged in order of battle, and 30 pieces of heavy ordnance defended the passage of the bridge. I ordered my whole artillery to be brought up; a very brisk cannonade was kept up several hours.As soon as the army arrived, it was drawn up in one column, at the head in which marched the 2d battalion of carabineers, followed by all the battalions of grenadiers, who reached the bridge under constant shouts of Long live the Republic. The enemy made a dreadful fire; the head of the column seemed to hesitate (thro’ a moment of hesitation perhaps all might have been lost); Generals BERTHIER, MASSENA, CERVONI, DALLEMAGNE, and LANNES and DUPAT, Chiefs of Brigade, felt it, and precipitated themselves at the head of a column, and decided the day. This redoubtable column bore down all opposition; the enemy’s whole artillery was instantly taken; BEAULIEU’S order of battle was broken, and in a moment the enemy’s army was dispersed. Our cavalry passed the Adda by a ford, but on account of it being rather deep, the passage was much retarded, and the cavalry was prevented from charging the enemy. 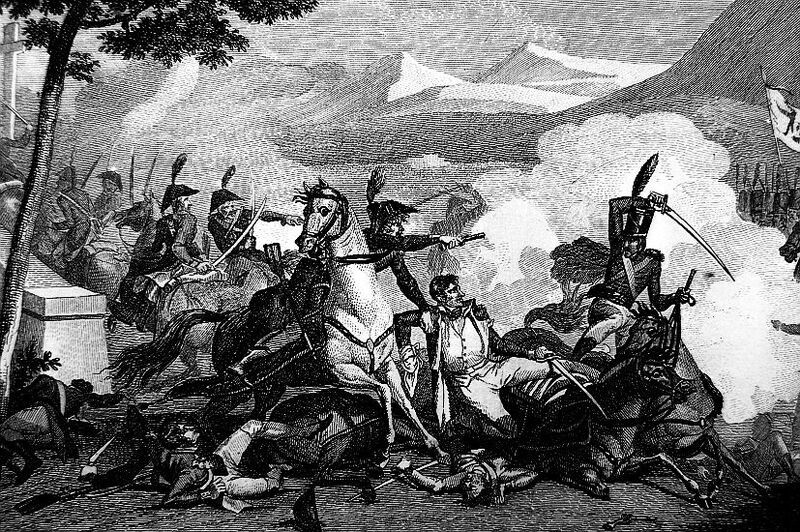 BEAULIEU’S horse attempted to charge our troops, in order to protect the retreat of his infantry, but they found it was no easy matter to frighten our brave soldiers. The coming on of night, and the extreme fatigues which our troops had sustained, prevented us from pursuing the enemy, who lost 20 pieces of cannon, and between 2 and 3,000 men killed, wounded, and prisoners. BEAULIEU retreats with the remains of his army thro’ the territory of Venice, several towns of which have shut their gates to his troops. Our loss is inconsiderable, owing to the quickness of the execution, and to the impression made on the enemy by the mass and dreadful fire of our intrepid column. 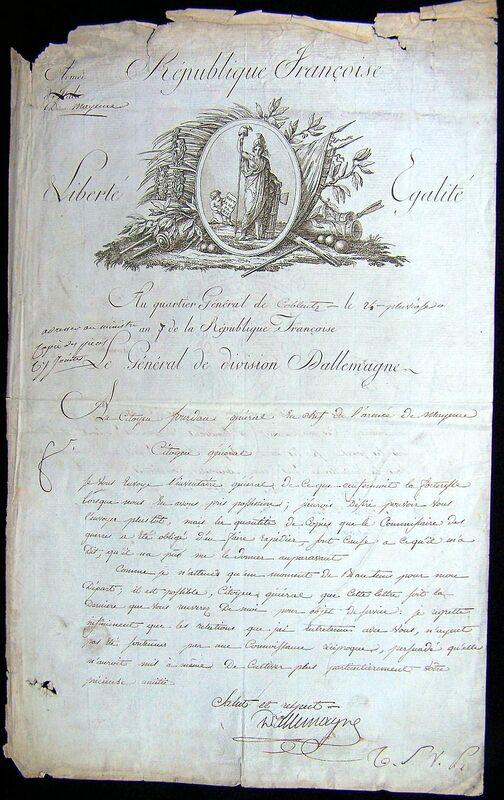 BUONAPARTE, General in Chief of the Army of Italy, To the Executive Directory. Head Quarters of Due Castelli, 30th Fructidor, Sept. 16. I gave you information, Citizen Directors, in my last dispatch, that General WURMSER, obliged to abandon Bassona, fled in person with the wrecks of two battalions of grenadiers of Montebello, between Vicenza and Verona, where he had rejoined the division he had ordered to march to Verona, 4500 cavalry, and 5000 infantry, the moment he knew that I was pressing on to Trente. 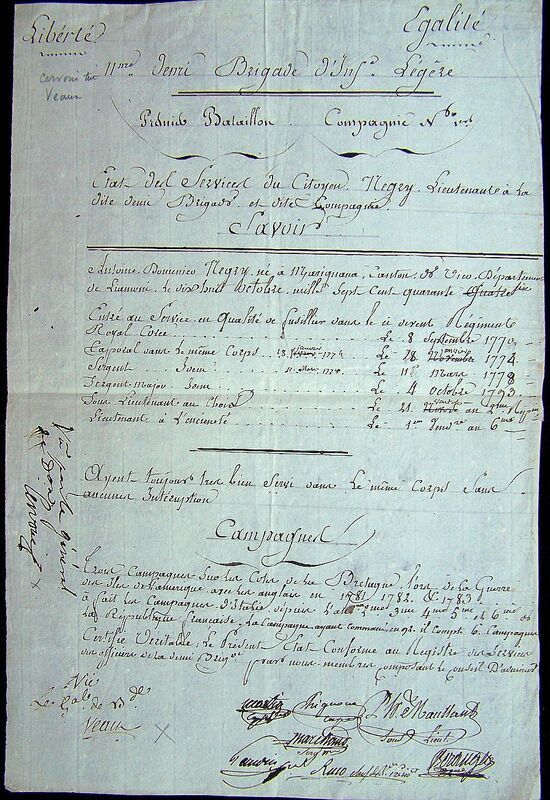 The 23d, the division of General AUGEREAU arrived at Padua. They collected together the wrecks of the baggage of the Austrian army, and 400 men who escorted it. The division of MASSENA arrived at Vicenza. WURMSER found himself between the Adige and the Brenta. It was impossible for him to cross the Brenta, because two divisions of the army shut up the passage from him. There remained no other resource for him than to throw himself into Mantua. But having foreseen, from the moment of my quitting Trente, this movement of General WURMSER, I left in Verona the General of Division KILMAINE, and planted artillery upon the ramparts of the place. General KILMAINE kept the enemy in check 48 hours, repulsing them by the fire of his artillery every time they attempted to penetrate. I had only been able to leave him forces too inadequate to control a populous town, and to repulse a numerous army, that had so many reasons to spare nothing that might render them masters of so important a place. 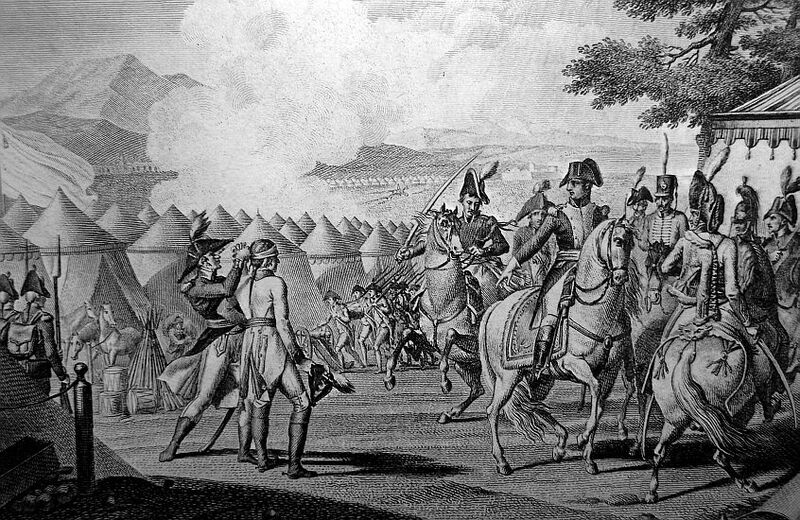 The 23d, in the evening, General WURMSER learned the arrival of the division of General MASSENA at Vicenza. He sent that he had not a moment to lose. He defiled along the Adige, which he crossed at Porto Legnago. The 24th, in the evening, the division of General MASSENA passed the Adige at Ranco, in the time that the division of General AUGEREAU marched from Padua to Porto Legnago, being necessitated to inform his left, that the enemy might no try to save themselves by Cartel Baldo. The 25th, at the dawn, I gave orders to the division of General MASSENA to march to Sanguinetto, to bar the passage against WURMSER. General SAHUGUET, with one brigade, marched to Castellaro, and had orders to cut down all the bridges across the Wolinella. General MURAT, at the head of some hundred light horse, arrived at Cerea, and encountering the head of WURMSER’S division, he overthrew some squadrons of cavalry. General PIGEON, commanding the advanced guard of General MASSENA, finding the cavalry engaged, hurried on with his light infantry to sustain them. He passed the village, and took possession of the bridge, across which the enemy of necessity were to pass. The corps of the division of General MASSENA were yet at a great distance. After an instant of astonishment and alarm felt by the division of WURMSER, that General made his dispositions, overthrew our advanced guard, and retook the bridge and the village of Cerea. I had marched there at the first report of cannon, but it was too late. We must make a bridge of gold to an enemy which flies, from every calculation, and by every probability, would be obliged that day to lay down his arms and surrender himself prisoner. We continued to rally our advanced guard, and return half the way from Ronco to Cerea. We found, on the field of battle, in the morning, more than a hundred of the enemy killed, and we made 250 prisoners. WURMSER defiled all the night of the 25th towards Mantua, with such rapidity, that in the morning he arrived early at Nogara. 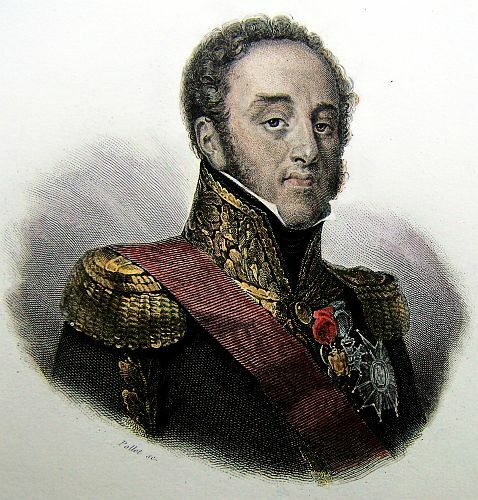 He learned that the bridges of the Molinella were cut down, and that a French division waited for him at Castellaro. He saw that it would be indifferent to try to force Castellaro, because at the dawn we were in pursuit of him. I yet hoped to find him engaged with General SAHUGUET. But unluckily he had not cut down the bridge of Villa Impenta on the Molinella, at the distance of a league to his right. Wurmser had defiled by it. 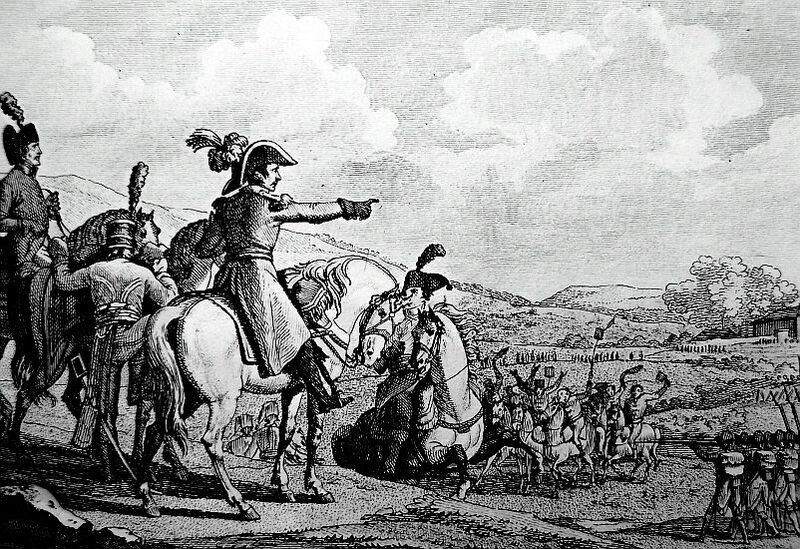 The moment General SAHUGUET knew his passage, he sent some horse to harass and retard his march, but he had too few troops to succeed. General CHARLTON, with 300 men, was surrounded by a regiment of Cuirassiers. The General was killed in battle. 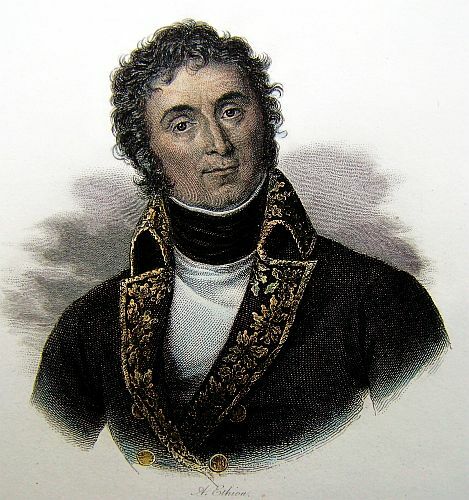 General AUGEREAU, arriving the 24th, before Porto Legnago, invested the place. General MASSENA sent the Brigade of General VICTOR, to invest it on the side of the Adige. After some parley, the garrison, 1,673 strong, surrendered themselves prisoners of war on the 27th. We found there 22 pieces of field ordnance, with their carriages and waggons, and the 500 men made prisoners by Wurmser in the battle of Cerea. On the 28th the division of General MASSENA set out at day break from Castellaro towards Mantua, by the road of Due Castelli, by seizing Fauxbourg St. George’s, to compel the enemy to enter the place. The engagement began at noon–it was too eagerly commenced. The fifth half brigade lost the road, and did not arrive in time. The numerous cavalry of the enemy confounded our light infantry; but the brave 32d sustained the combat till night, and we remained masters of the field of battle two miles distant from the Fauxbourg St. George’s. 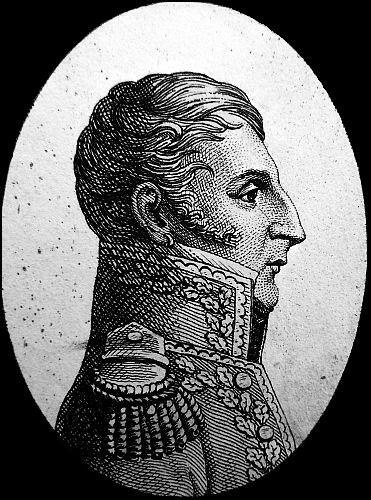 General SAHUGUET, after having invested the citadel, attacked the Favourite. He had obtained the greatest success, and had taken from the enemy three pieces of cannon, when he was obliged to fall back and abandon the artillery he had taken from the enemy. In the mean time the Hulans, Hussars, and Cuirassiers of the enemy, flushed with slight success, inundated the country. 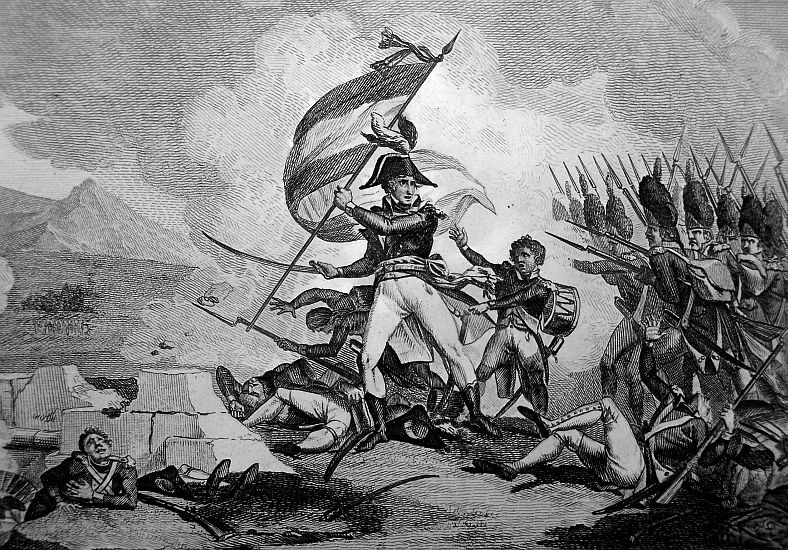 General MASSENA laid ambuscades from them, which obtained a success the more happy, as it set our light infantry at work with them. We killed or took about 150. The Cuirassiers were safe at least from musket shot. The enemy had at least 300 wounded. 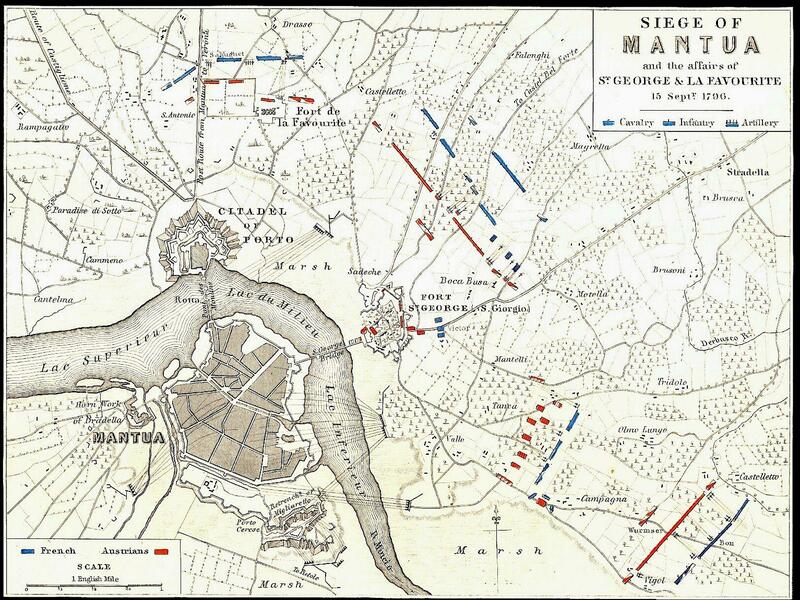 It was in these little checks that General MASSENA displayed great firmness in rallying his troops, and reconducting them to the battle. General KILMAINE, at the head of the 20th dragoons, stopped the enemy, and did great service. These battles, which in reality were only breathings, gave great confidence to our enemy. We were to augment this by every possible means; for no greater happiness could chance, than to drive the enemy to a serious affair beyond the ramparts. 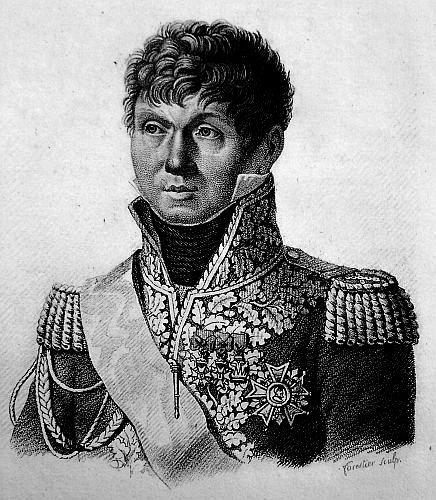 General MASSENA took on the night of the 28th a position behind them. On the morrow, at day break, we learned that the enemy had drawn out nearly all the garrison to defend the Favourite and St. George’s, and by so doing to preserve the means of getting forage for their numerous cavalry. At two o’clock in the afternoon, General BON, commanding the division of General AUGEREAU, who is ill, arrived from Gouvernolo along the Mincio, and attacked the enemy posted before St George’s, on our left. 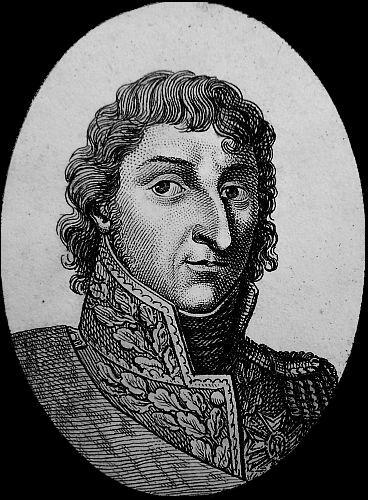 General SALICETTI hastened to cut off the communication of the Favourite with the citadel. General PIGEON passing by Villa Nova, was to turn a plain, where the cavalry of the enemy could manoeuvre, and to cut off communication from the Favourite to St. George’s. While these different attacks were commenced, General VICTOR, with the 18th half brigade of Battle, in close column by battalions, at the head of his division, marched against the enemy. The 32d half brigade, supported by General KILMAINE, at the head of two regiments of cavalry, marched by the right to receive the enemy, and push them on the side where General PIGEON was. The battle began on all sides with great spirit. 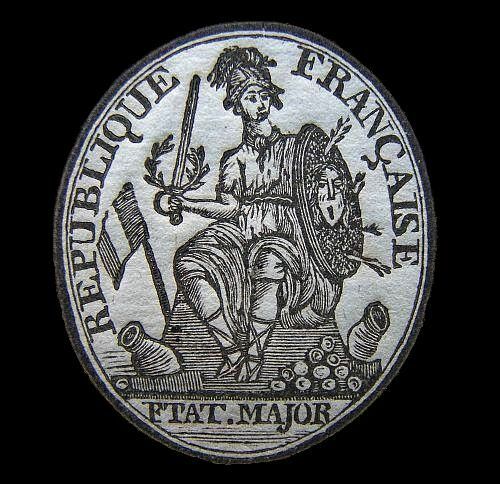 The 8th battalion of grenadiers, placed in the van, and led by the Adjutant General LECLERC, and my Aide-de-Camp MARMONT, performed prodigies of valour. The 4th half brigade, who, on the left, had begun the battle, attracted the particular attention of the enemy, who found themselves penetrated in the center. We carried St. George’s. A squadron of Cuirassiers charged a battalion of the 18th, which received them bayonet fixed, and made prisoners of all who survived the charge. We have made in this battle 2000 prisoners, among whom are a complete regiment of Cuirassiers, and a division of Hulans. The enemy must have had 2500 men killed or wounded. We have taken 25 pieces of cannon, with their waggons attached. General VICTOR, BON, BOUTIN, General ST. HILAIRE, General MEYERS wounded going to the assistance of a soldier charged by one of the enemy’s Cuirassiers; General MURAT slightly wounded; LANNES, head of Brigade, TAILAND, head of battalion, LECLERC, head of brigade of the 10th regiment of light horse, was wounded, charging at the head of his regiment, in the affair of the 25th. The Chief of Brigade of the 18th who had his horse shot under him in the affair of Bassano, distinguished himself particularly. 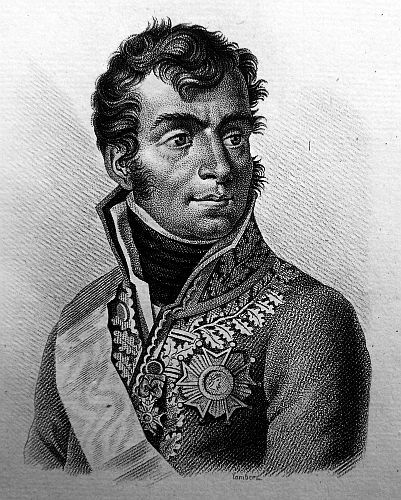 SUCHET, head of the battalion of the 18th, was wounded on the 25th, fighting courageously at the head of his battalion. No one of the General Officers is dangerously wounded, and I hope we shall not long be deprived of their services. Thus, if the garrison of Mantua has been reinforced by nearly 5000 infantry, I reckon that the battle of St. George’s may have cost them an equal number. As to the cavalry, it is an accession to the embarrassment, and consummates all. I do not doubt that WURMSER will use every possible effort to get out of Mantua with them. Since the 16th of the month we have been constantly fighting, and always the same men against new troops. The enemy, whom we have nearly destroyed, was then very formidable–it appeared also that they had hostile designs; but we prevent them, and surprised them at the time they were making their movement, I send you my Aide-de-Camp MARMONT, bearer of 22 flags taken from the Austrians.